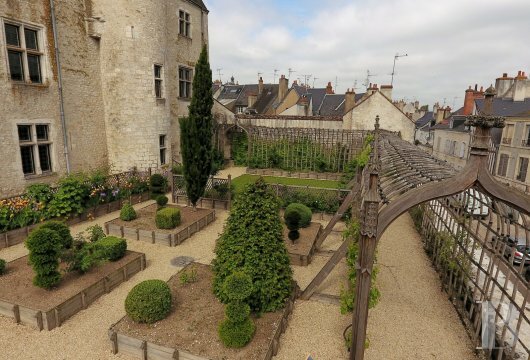 This chateau stands in the historic centre of Beaugency (7,500 inhabitants), a gateway town between the Beauce and Sologne regions, one of the gems in the Loire Valley, classified as a World Heritage Site by UNESCO. 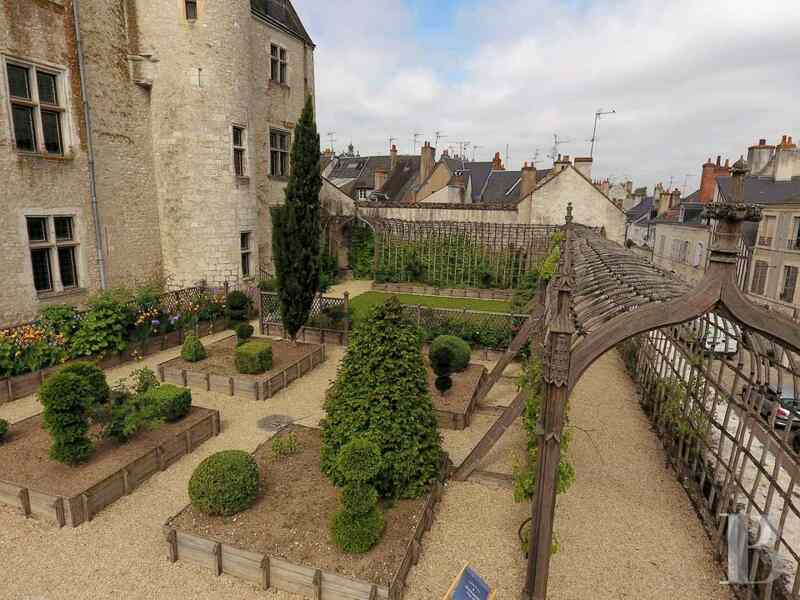 A medieval and Renaissance town which has been given many French labels such as the “Plus Beaux Détours de France” (Most Beautiful Detours of France) and “Ville fleurie” (Flower-filled town), Beaugency is one of the most visited sites in the Centre region of France. 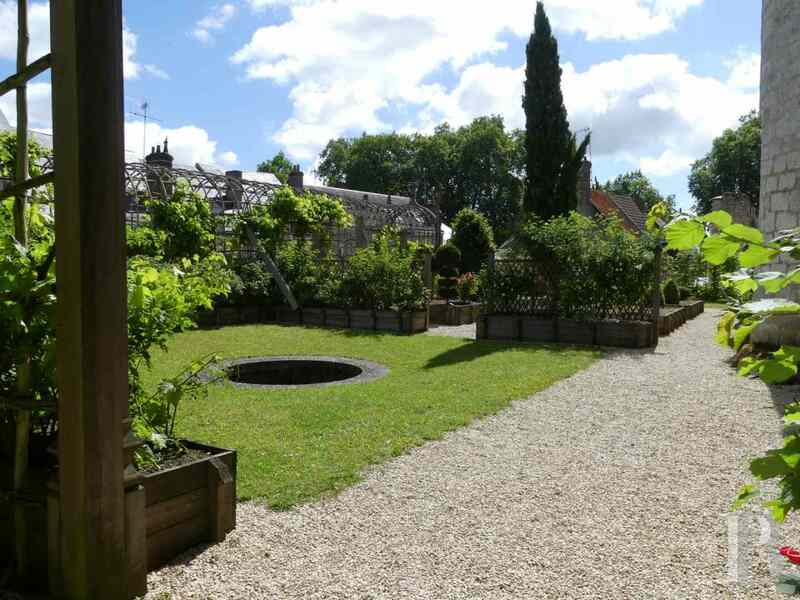 90 minutes from Paris via the A10 and equidistant from Orléans and Blois (30 km), Beaugency is near to the Loire Chateaux. 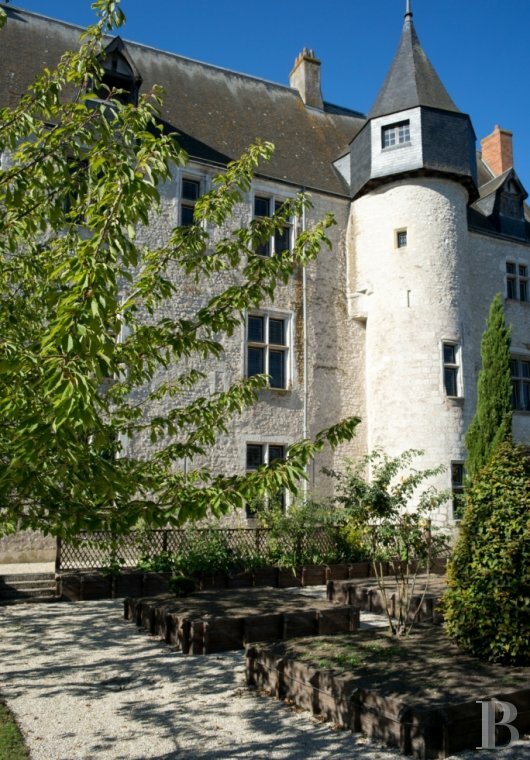 Dunois Chateau, named after the Earldom received in 1439 by Jean-d’Orléans, who immortalised the name, features numerous vestiges from the Romanesque era in which it was built during the 14th, 15th and 16th centuries. 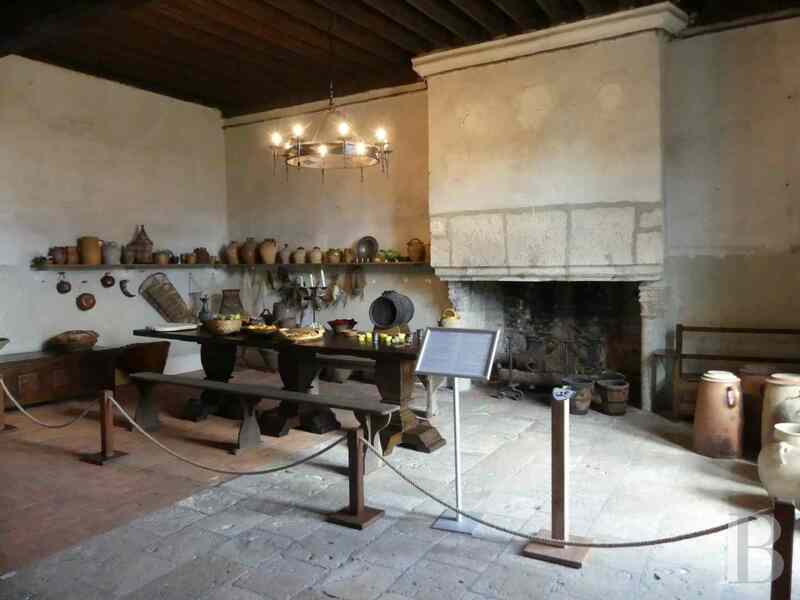 Its most recent section was reconstructed in the 19th century on a building that dated from the Dunois era. 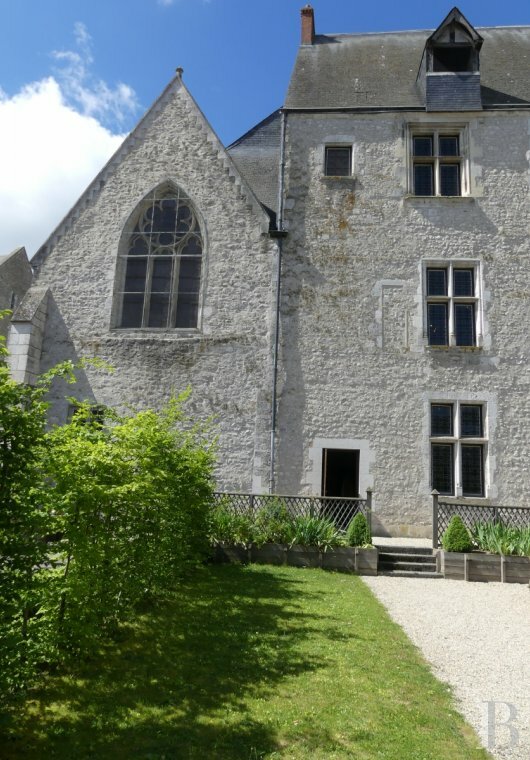 On a hillside, on a limestone spur bordered by the Loire and the rivulet that runs through the town, the chateau is set in the middle of a group of buildings with French Historic Monument listing. Its land registry surface area is 3,429 m². 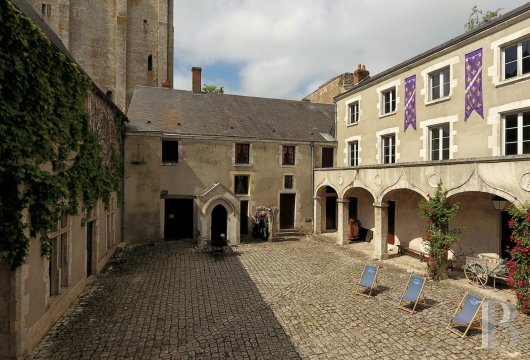 The rectangular chateau consists of three houses and a row of superimposed galleries arranged around an inner paved courtyard, known as the “Cour du Donjon” (the keep courtyard). This residence is completed by a hanging garden on the east facade. 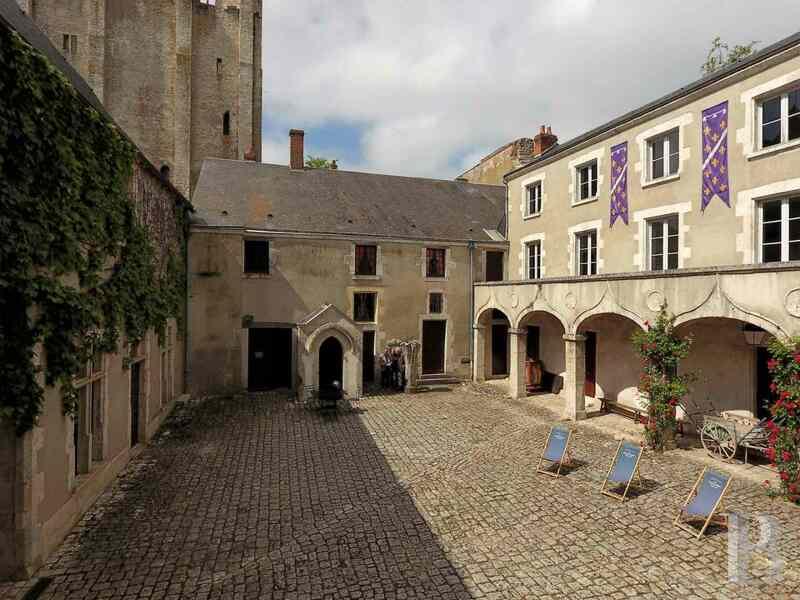 A large private square, used as a carpark, extends between the chateau and the Romanesque Abbey. 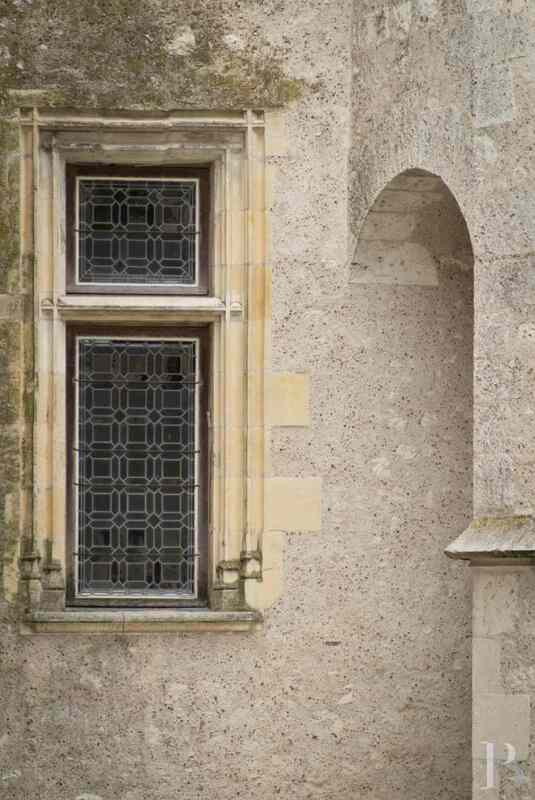 This chateau, the construction of which dates back to the 14th, 15th and 16th centuries, is a symbol of historic heritage from in and around Orléans, including the Loire Valley. It successively belonged to the Lords of Beaugency, the French Crown and the Dukes of Orléans as of the 14th century. 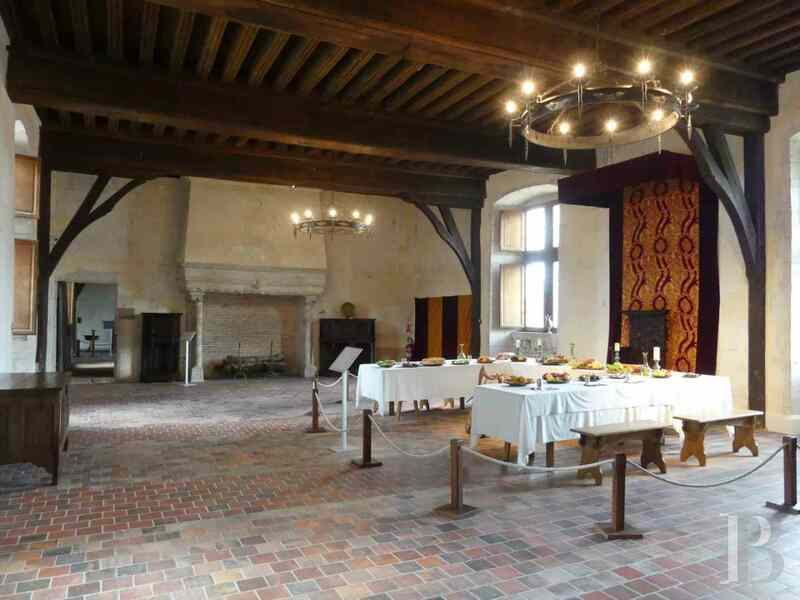 A typical example of a French lord’s home, its main commissioner and owner Jean-d'Orléans (or Jean-de-Dunois or “Dunois”) was the grandson of King Charles V (1364-1380). Grand Chamberlain of France, he was above all a great military leader from the House of Orléans, a branch of the royal Valois dynasty. 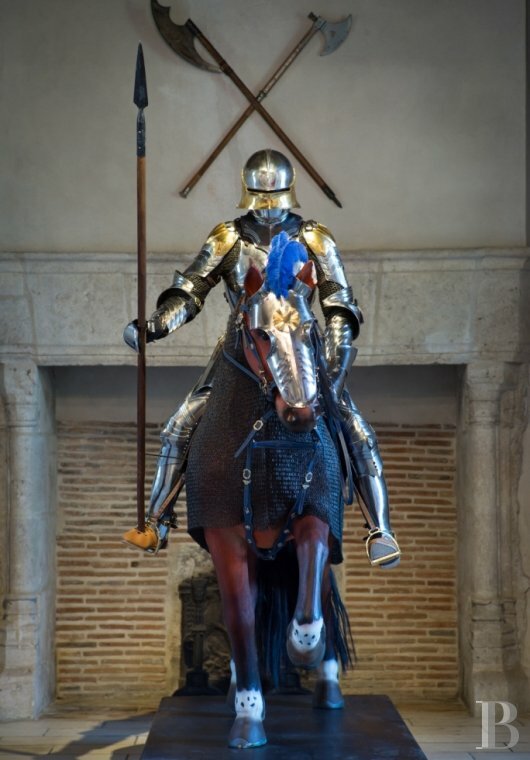 He notably became renowned as the comrade in arms of Joan of Arc in the epic that led in 1429 to the liberation of Orléans and to the coronation of the French King Charles VII in Reims. 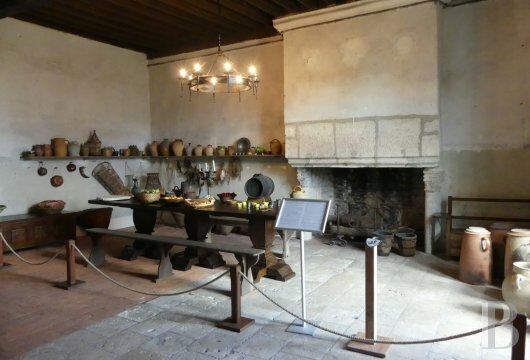 King François 1st regularly stayed in Beaugency as of 1519. 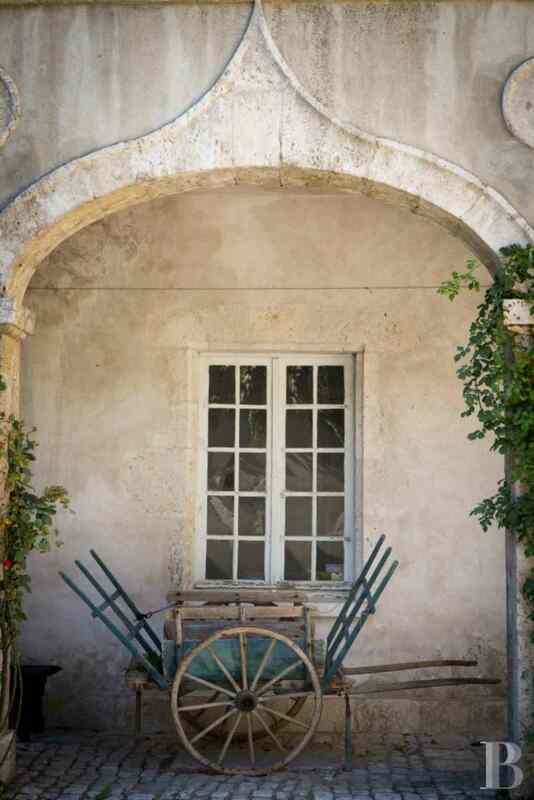 His favourite game at the time was real tennis, for which a gallery was constructed in the courtyard. 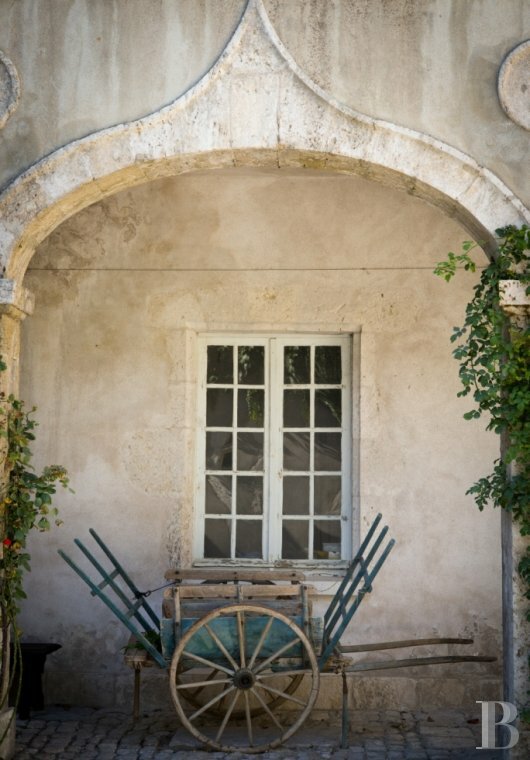 At the time of the French Revolution, this chateau was sold as National Property. 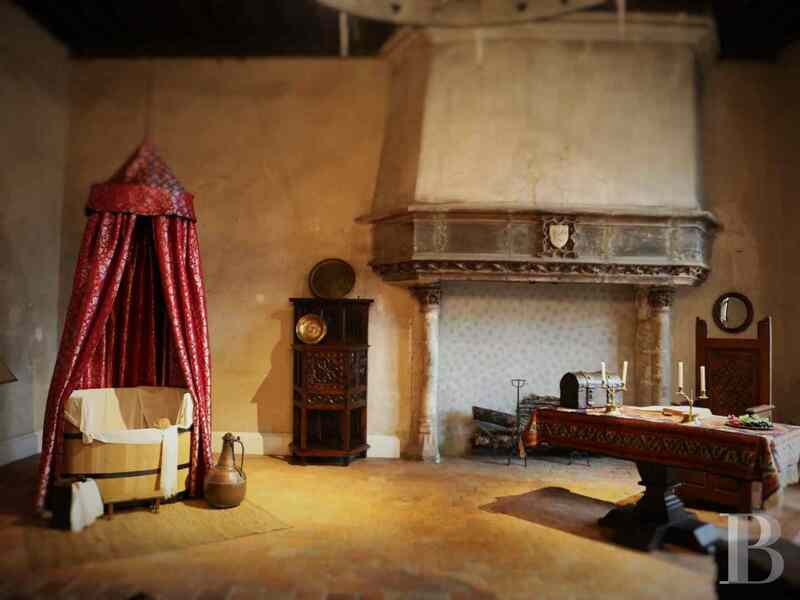 It was purchased by the prefecture of Loiret in 1838 in order to create a home for vagrants. Classified as a French Historic Monument since 1926, it was home to the Daniel-Vannier-Museum, housing the arts and traditions of Orléans, from 1928 until 2003. 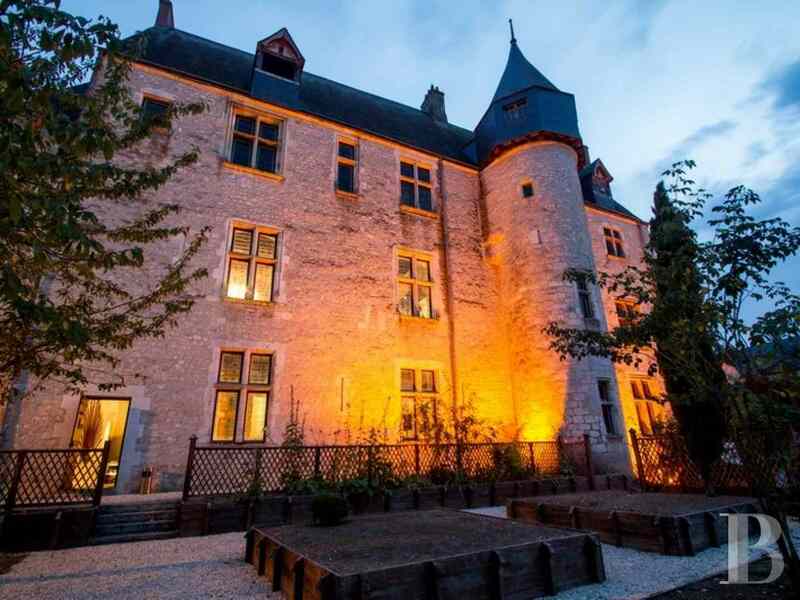 Becoming a private property in 2012, this chateau underwent major works that renovated it and brought it into line with current day standards. 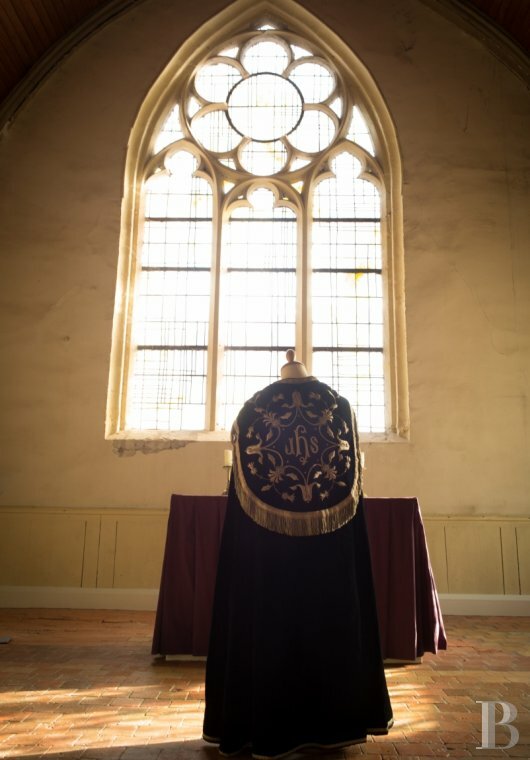 It was re-opened to the public in 2014. 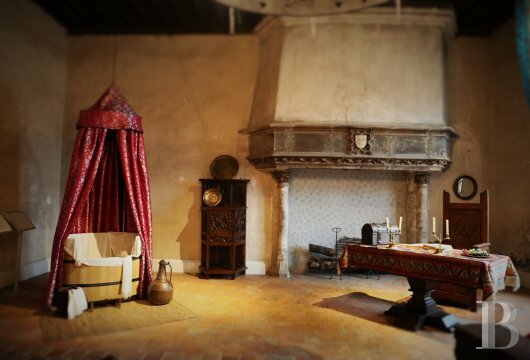 Following significant historic research, some fifteen rooms were reconstituted during these works. 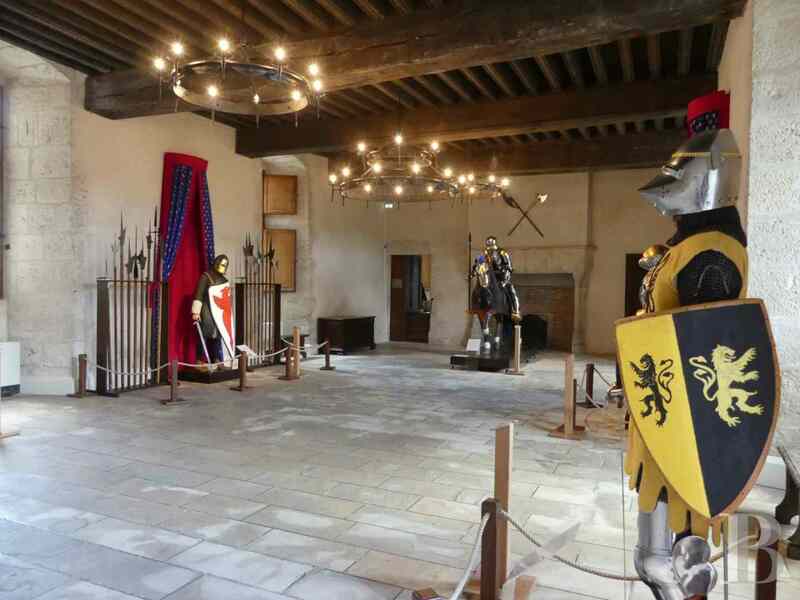 These included the guards’ room, the knights’ changing room and its arms repair shop, the oratory and the chapel. 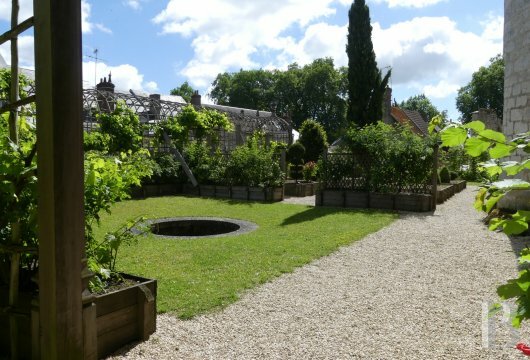 With its main courtyard and its elegant hanging garden, these premises are currently used for many events, both public and private, including guided visits, conferences, exhibitions and the bread fair. 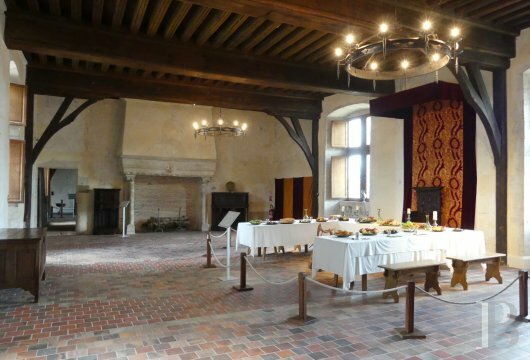 The main house was transformed in the 14th century, extended between 1452 and 1460 and modified again between 1519 and 1523. 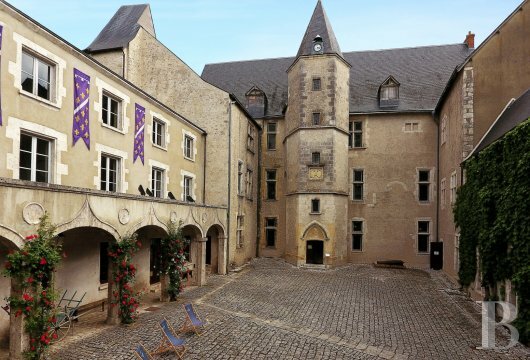 It comprises a central building, flanked by two wings set at right angles to the main courtyard with slate roofs and gable or Jacobin-style roof dormers as well as mullioned windows. 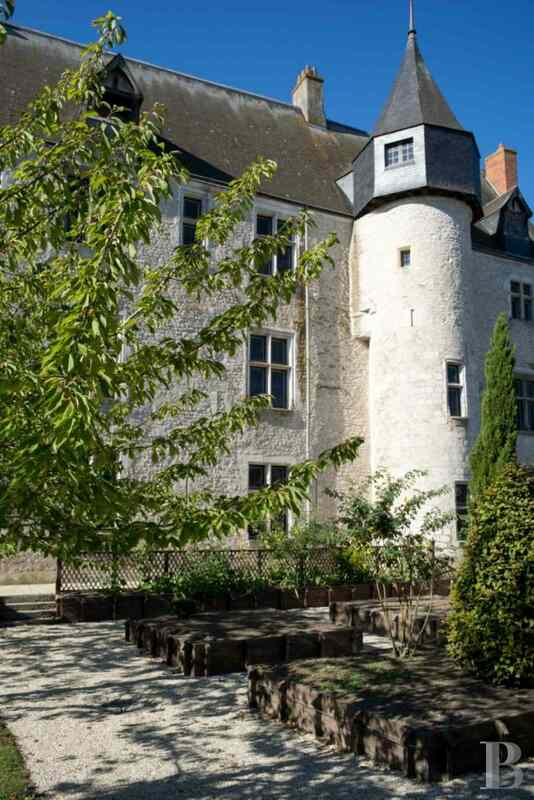 A hexagonal tower, outside the fabric of the building, adjoins the facade facing the courtyard. A round tower, on the other side and outside the fabric of the building, is topped with a room and an octagonal, slate roof. 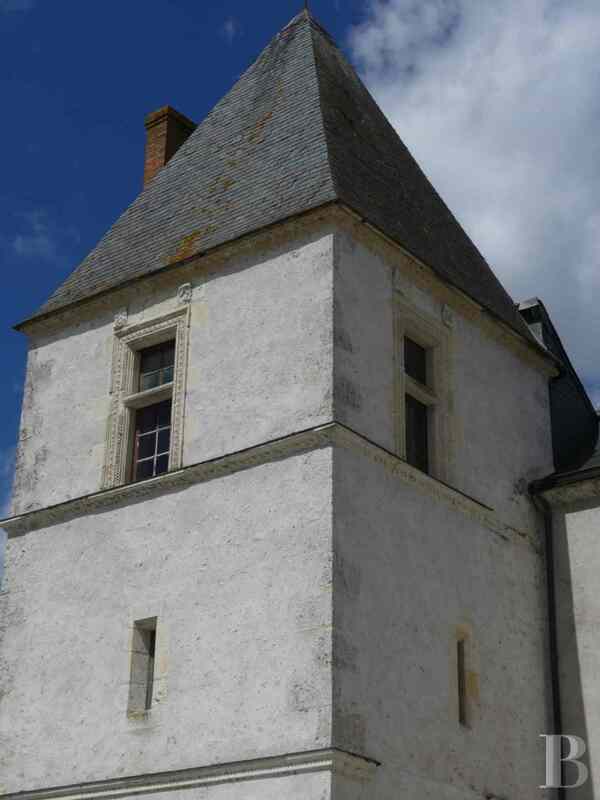 It has mullioned windows, brick chimney stacks and gable or Jacobin-style roof dormers. This house spans three stories which are accessed via a spiral stairway. 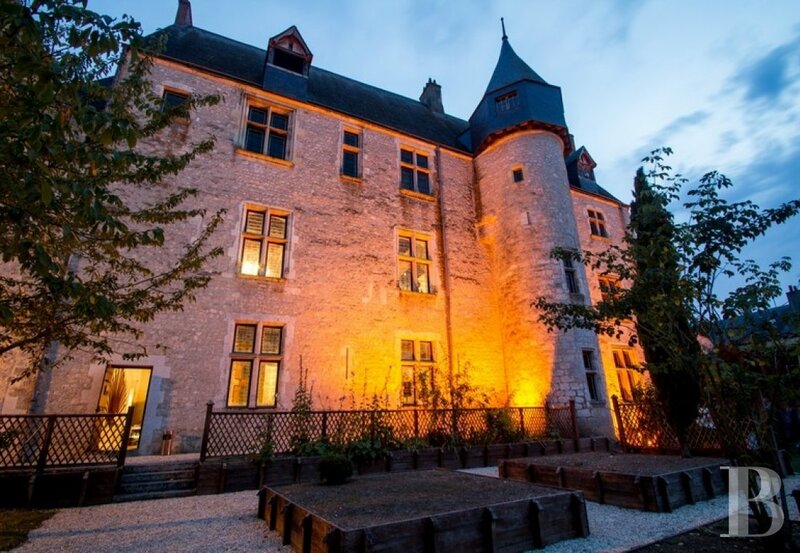 Each floor comprises a set of rooms with monumental stone fireplaces and French ceilings. 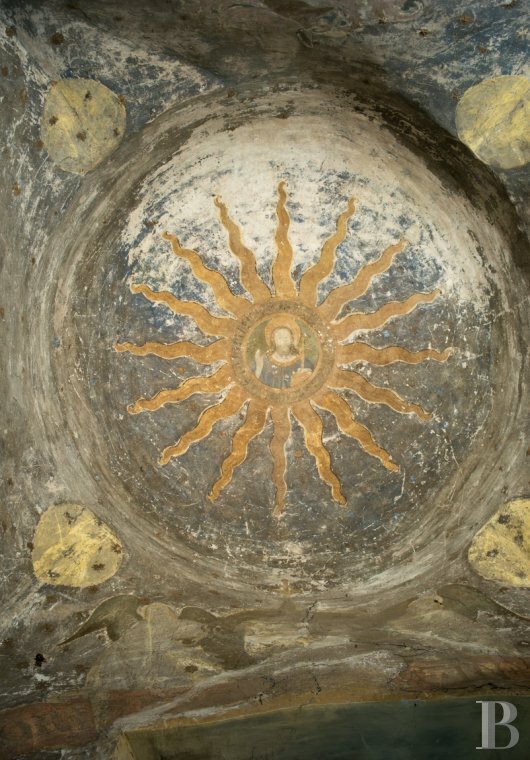 A mural, dating from the first quarter of the 16th century on the vault and the top of the walls, upstairs in the turret (the so-called Jeanne-d’Arcy Oratory), overlooks the terraced garden. 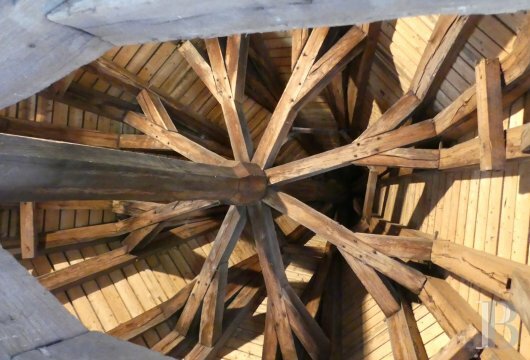 It was commissioned by Jean-d’Orléans-Longville (grandson of Jean-de-Dunois) either for his appointment as archbishop of Toulouse (1503) or for his appointment as bishop of Orléans (1521). 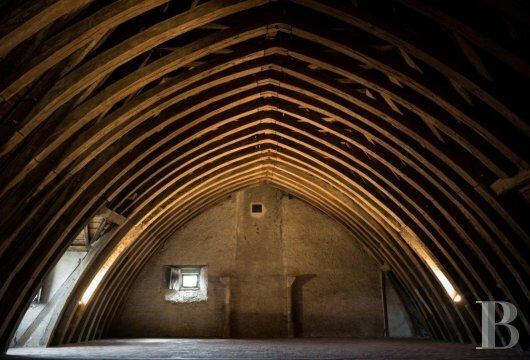 The attic space features an inverted hull roofing framework, terracotta and stone floor tiles and rendered quarry stone walls. 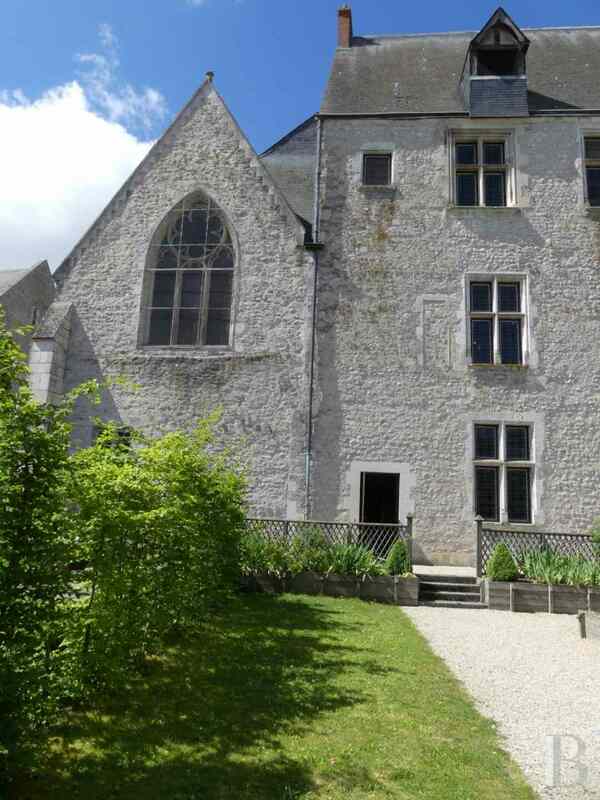 The Saint-George Chapel, adjoining the south gable wall of the house, dates from the 14th century. Its gothic window, featuring double mullions, is crowned with a rose. 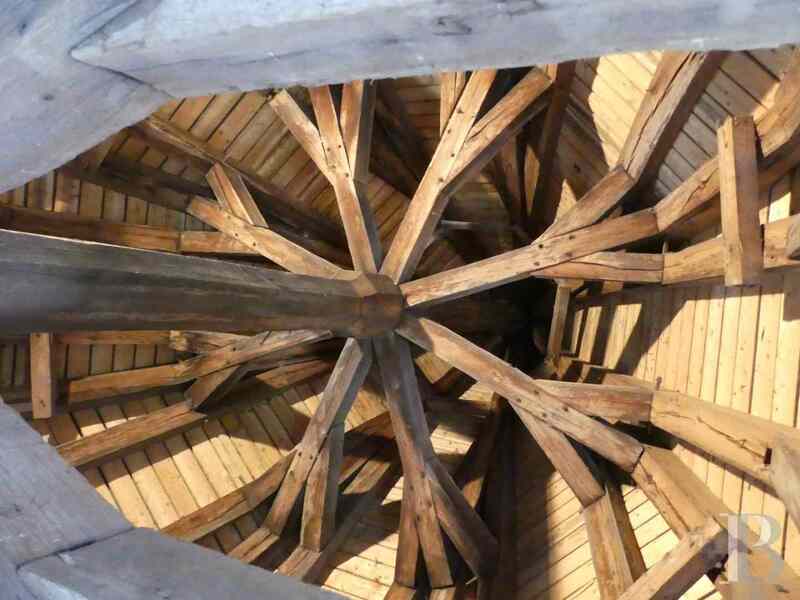 The vault is triangularly arched. This medieval garden has been revamped in keeping with the designs of Jacques-Moulin, chief architect from the French Historic Monument Association, notably responsible for the gardens of Versailles. 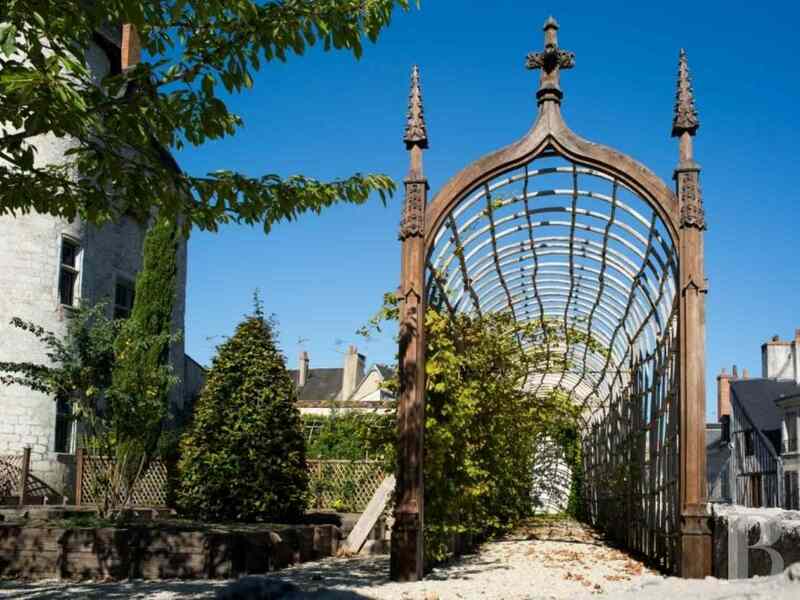 Composed of terracing, trellises and arbours, it has been laid out just as it was originally. This pavilion was built over cellars during the second quarter of the 16th century by the grandson of Jean-de-Dunois (Jean-d’Orléans-Longueville, archbishop of Toulouse and future cardinal), on the foundations of an existing building. 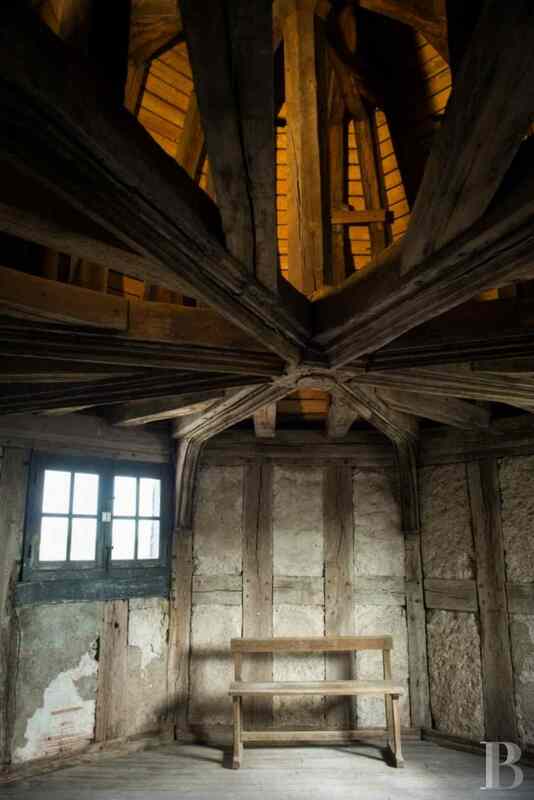 Its lower two levels were used for storing food whilst the top floor was used as a wardrobe for Jean-d’Orléans’ bedroom. On the south-east side, a set of superimposed galleries was built under Dunois. 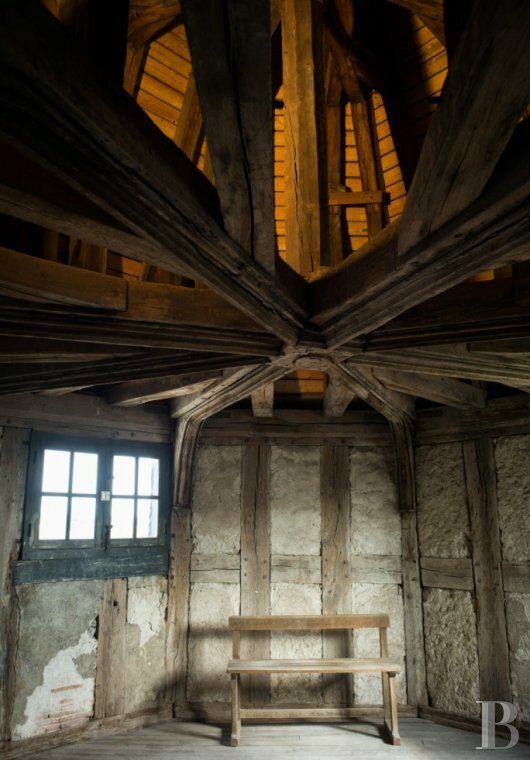 It was transformed during the 19th and 20th centuries and comprises three levels, divided into different rooms on the ground and first floors, as well as an old exhibition gallery upstairs under unusable attic space. 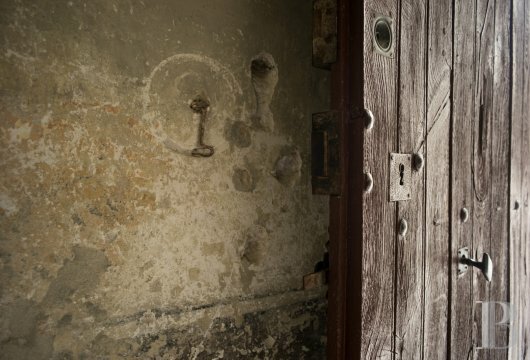 A house on the north-west side was built after 1839, the date a home for vagrants was created. 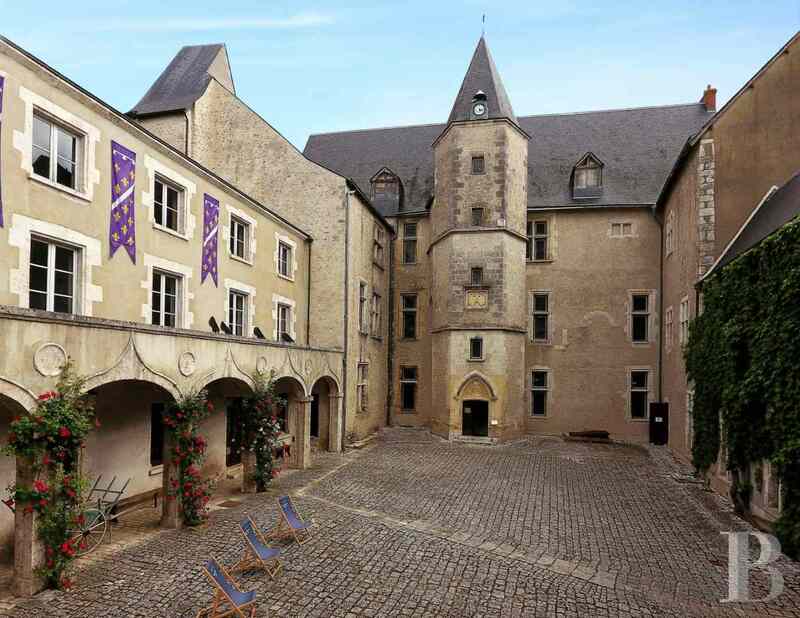 The actual building, with its arcades, replaced a half-timbered building dating from the Dunois era. 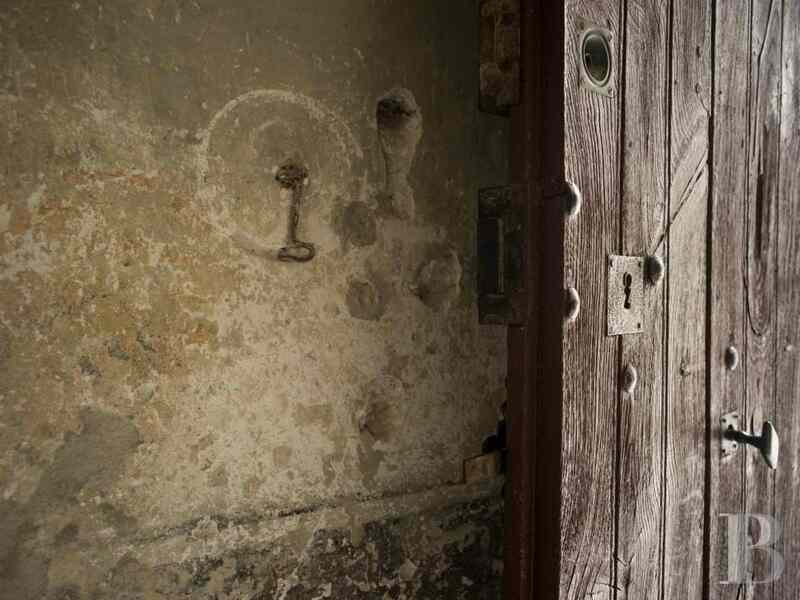 It comprises a collection of old, dilapidated dwellings. 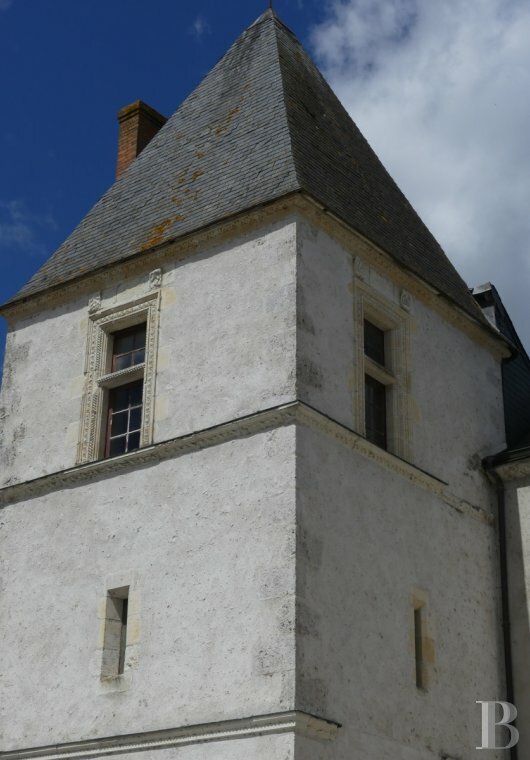 This chateau, in the immediate proximity of the Loire, is only one feature of Beaugency’s very impressive building heritage. 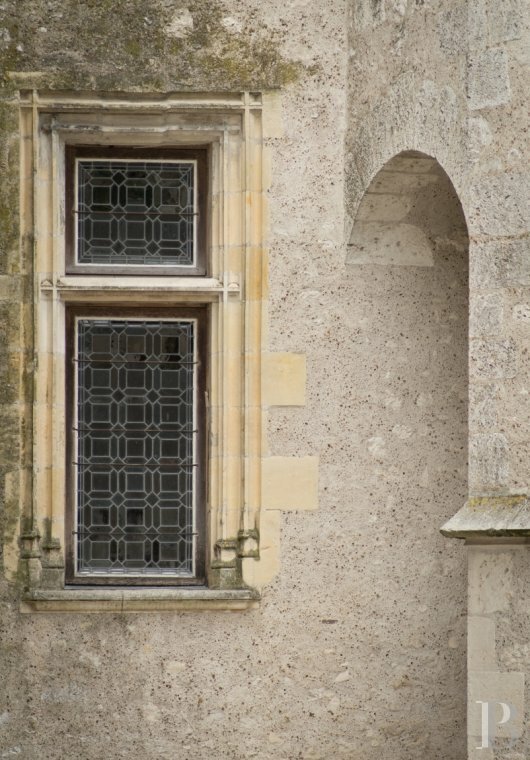 The pertinence of a tourist activity, justified by this building alone, is enhanced by the lessons relating to history and architecture given by the stone here. Knowledge intelligence, pleasure: all qualities and all sensations are stimulated. It has unlimited decor just waiting to be examined, interpreted and admired. 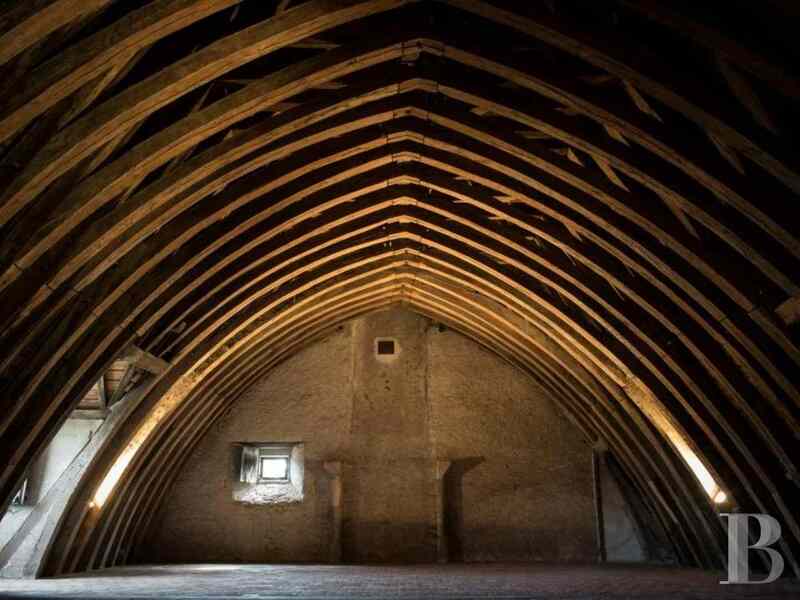 The roofing frameworks are stunning and the openings provide a variety, presenting successive styles. Furthermore, there is nothing to prevent new owners keeping the inventory of such beauty to themselves.